Blessed with beautiful dive conditions, wonderful marine life and some of the world’s rarest species. If you are diving in Bali then the North West should be on your list of dive sites to visit. 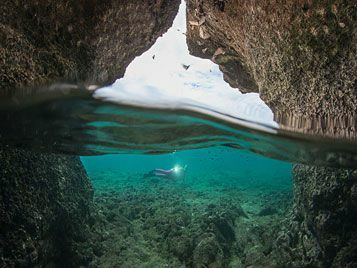 Especially if you like to see abundant marine life, lots of reef fish, amazing coral, dramatic walls and drop-offs! 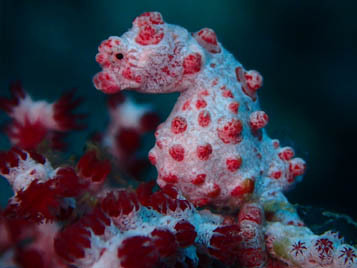 Often overlooked by divers as it is shadowed by the famous Menjangan Island. This wonderful bay is located only meters from the dive center within the North Bali National Park. 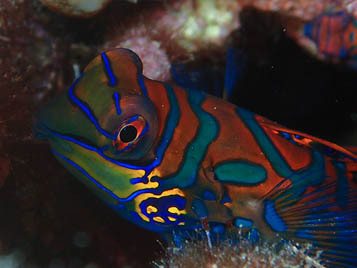 It is home to the elusive Mandarin Fish, if you are lucky, they can be found popping in and out of he hard coral at dusk. Menjangan Island is famous for having Bali’s most beautiful wall-diving. The underwater topography depends on the exact dive site but most of them start on the island shelf where we tie to a mooring. Are you in North Bali for a few days? Check out these other dive sites around the Pemuteran and Menjangan area that you could visit! The dive sites around North Bali are home to the rare Mimic Octopus, as well as a host of incredible macro life. Transportation to the dive sites, either boat or car. Complete set of dive equipment. Cylinders, weights and weight belts. All dives are run by certified and insured PADI Divemasters or Instructors. Dive insurance provided for every customer. Equipment rental is available at no extra charge for those who do not have their own dive gear. 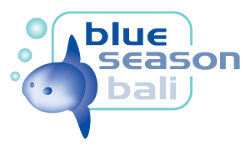 Blue Season Bali is an Aqualung Partner Center and all of our equipment is routinely maintained and updated. Nitrox is unfortunately not available in Menjangan. When diving with Blue Season Bali you only need to bring your certification cards and logbooks as well as items such items as sunglasses, sunscreen, swimsuit and a camera. Lunch is not included in the diving packages (except for the 3 dive package at Menjangan Island where a lunch box is included.) Enjoy lunch at the beach restaurant or feel free to order a delicious lunch box from our team the day before your trip. Lunch boxes include 1 x soft drink (Coke, Fanta or Sprite); 1 x Large Aqua mineral water; 1 x Salad; 1 x Sandwich and some seasonal fruit. We run daily night dives in Bajul Bay in search of the elusive Mandarin Fish - get in touch with us to day to book a package or just add an additional dive on to your day dives.